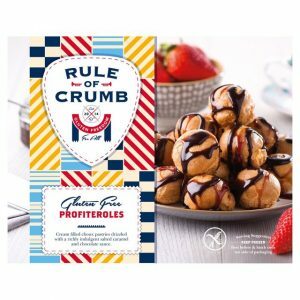 Gluten free food company, Rule of Crumb have secured a deal to sell their profiteroles through Sainsburys. Gluten Free Ireland followers will recognise the brand as a regular advertiser and attendee at our gluten free events. Rule of Crumb founders, Colum McLornan and Claire Hunter were also the first hotel owners in Northern Ireland to achieve the Coeliac UK certificate and invited us to host the very first gluten free food fair in their Ballycastle hotel. Rule of Crumb sell a range of gluten free products including chicken, fish, cereals and bread. The new deal will see their chilled profiteroles go on sale in 452 Sainsburys’ stores, across the UK. 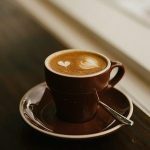 Rule of Crumb also supplies supermarkets in the Middle East, the food service arms of Lynas and Hendersons in Northern Ireland, and some small independent traders in the Republic.